1.) Start by cutting strips of material 12” long by 1” in wide. 2.) Cut the 12 “ strips of material into thirds. I didn’t keep count of the number of strips I cut, I just kept cutting. The amount you will need will all depend on the size of garland you want. 3.) 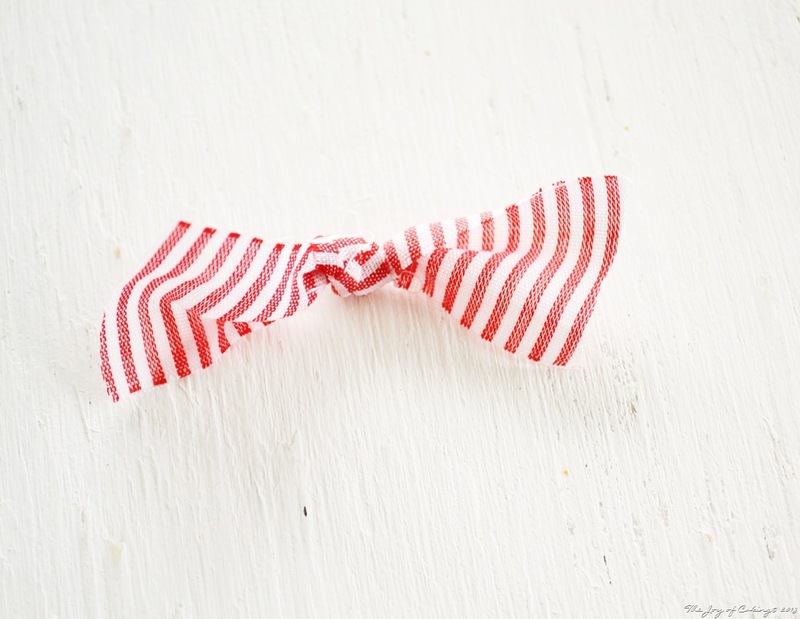 Once you have cut all of your strips, tie a knot into the center of each one. You may notice that some knots are tighter than others depending on the type of materials used. 4.) Once all of the knots have been tied, take a piece of embroidery string that is double in length of the size garland you want. Knot one end, and thread an embroidery needle on the other end. Run the needle through the center of each knotted piece of material (in the order you decide on) onto the string. 5.) Tie the end of the strings together for a candle ring, or if you are using this as garland to hang, just knot off the other end. 6.) Finish your project off by placing a glass candle holder (with candle) in the center of your ring. Make sure you use a glass candle holder to house the candle and to avoid a fire. 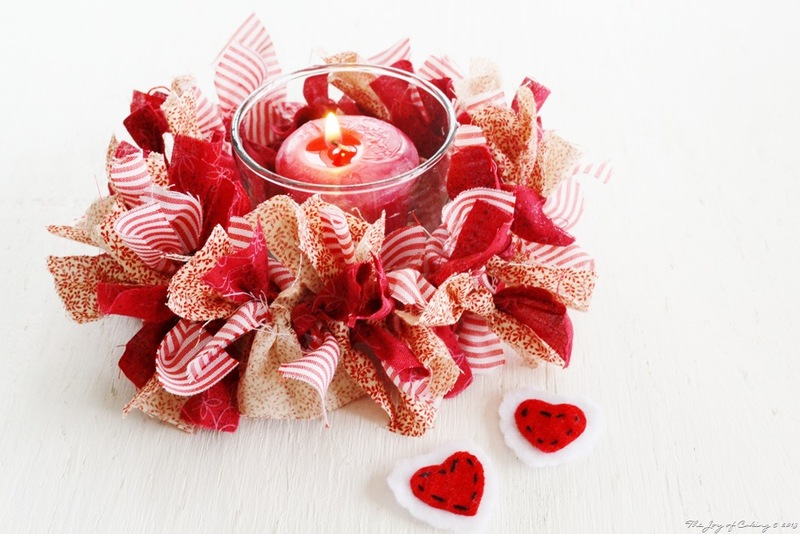 Click on the photo below to go to my 2012Valentine’s Day craft project (Paper Heart Garland). What a heartfelt gift for Valentine’s day. I love homemade gifts too! Thank you for sharing and inspiring me! Very nice Eileen, you are a woman of many talents. 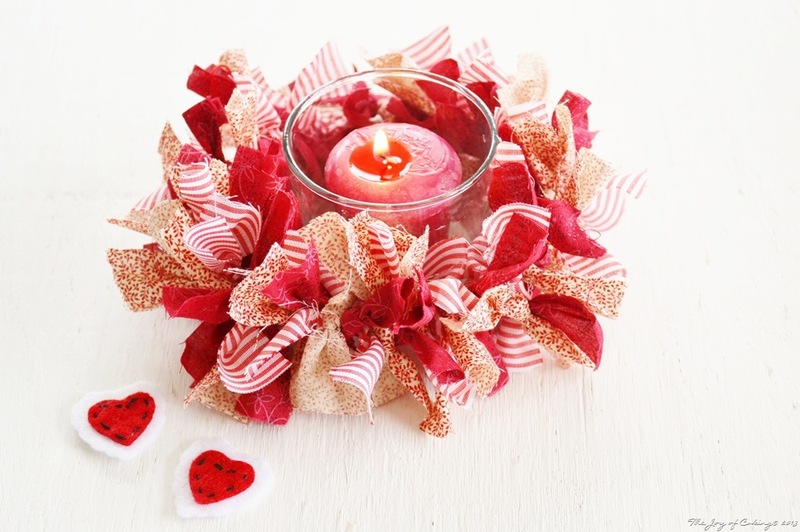 Here’s a great Valentine’s Day craft for all of you crafty people!